Discipline and Ensayos, along with Gertrude Contemporary, the Australian Centre for Contemporary Art and The Alderman, are pleased to present three lectures on recent Chilean art and art historiography by Chilean art historian, Carla Macchiavello. The lectures will take place at three different venues in Melbourne between Tuesday 12 and Thursday 14 July. All are free to attend. Since the 1970s, Chilean art has been haunted by a concern with borders and territoriality. During the 1970s and 1980s, margins were taken as physical and imaginary spaces from which to contest the repression imposed by the military dictatorship as artists working in conceptualist modes associated dissidence with crossing lines and trespassing borders. The return to democracy in the 1990s saw a re-evaluation of the notion of margin as those conceptual artists of the 1970s became part of a local canon of political art (known as ‘escena de avanzada’) and other forms of internal and global borders came to the fore. Moving from the 1970s to the 1990s and the present, this talk explores the enmeshed notions of landscape, territory, nationality, and ethnicity in Chilean art from the 1970s to the present, arriving at the more recent development of a marketable “extreme” conception of Chilean art and critical ‘end of the world’ reflections. In the midst of the military dictatorship, the bodies and landscapes of Tierra del Fuego and the southernmost regions of Chile were imagined by several artists as the margin incarnated—an ambiguous border inside and outside the nation where a battle of inscriptions took place. During the transition to democracy in Chile, the images of fueguinos’ bodies and southern landscapes continued to be appropriated as signs of internal colonialism and a globalised yet marginal national identity. Today they still act as signs of contested identities and haunting memories of a violent past. This talk explores how the fluctuating appropriations and reenactments made by Chilean artists of images of Tierra del Fuego since the 1970s question identity, violence, and sovereignty. ¿‘Onde va la lancha? 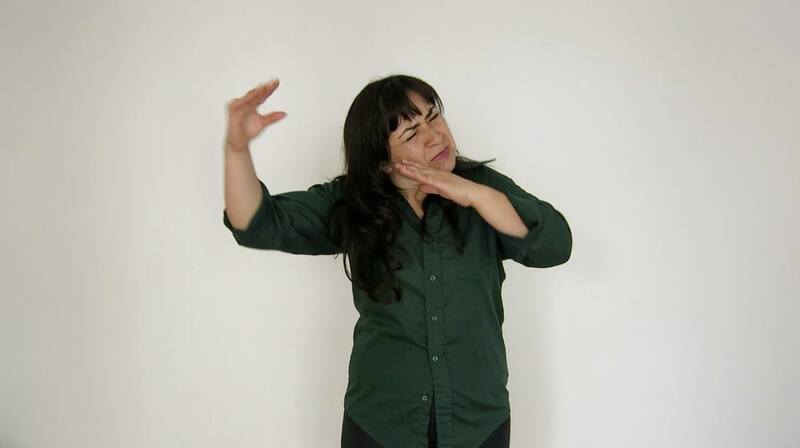 is a 25-minute lecture-performance by New York–based artist, Christy Gast. Gast provides a live voice-over for a video projection that was filmed in the fjords of Tierra del Fuego. We find ourselves inside an artisanal fishing boat during a storm, its creaking and rocking provides the rhythm for a song; the audience joins in. We are under water with a whale. The whale whispers, we learn its song. We are underwater collecting shellfish; we sing the forgotten song of the west wind. The lecture begins as a conventional artist’s talk, but as the camera dives below water the tone changes—the audience and the artist are immersed in the world of the fjord and must come to terms with its inhabitants, past and present. This lecture focuses on the confluence of ecology and a politics of the senses in the video works of Juan Downey (Santiago, 1940–New York, 1993). Downey was an artist who developed a wide-ranging oeuvre in video art to explore his concerns on displacement, communication across cultures, histories of colonialism, mediation, and the interlacing of body and technology. Through the medium of video, Downey embarked on a nomadic movement across continents, modes of knowledge and representation, entwining autobiography with ethnography, the documentary format with its parody and deconstruction, analyses of semiotics, politics, art histories and architectures of the north and south, and a utopian vision of technology with its critique to propose new forms of cultural agency and connection. The lecture will focus on videos from the Video Trans Americas series and The Thinking Eye series. Carla Macchiavello is an art historian who works with Latin American contemporary art, performance and video, and the relations between art, politics and performative practices. She has published articles and essays on contemporary Chilean and Latin American art since the 1970s with an emphasis on artistic practices aimed at social change. After receiving a PhD in Art History and Criticism from Stony Brook University, New York in 2010, she worked as Assistant Professor in Art History at Universidad de los Andes, Bogotá, Colombia, and since 2015 she has been an Assistant Professor in Art History at the Borough of Manhattan Community College, CUNY, New York. She has curated exhibitions on recent Latin American art and formed part of curatorial and editorial committees, including La Otra 2011 (Bogotá), the journal Cuadernos de Arte of Pontificia Universidad Católica de Chile, Seismopolite, and Más allá del fin/Beyond the End for Ensayos, an art and science program in Patagonia. Christy Gast is an artist based in New York whose work across media reflects her interest in issues of economics and the environment. Gast’s work stems from extensive research and site visits to places that she thinks of as ‘contested landscapes.’ These range from beaver-ravaged sub-Antarctic forests, to a mountain in Phoenix undergoing a politicised name change, to the extensively engineered canals and dikes around Lake Okeechobee that divert water from the Everglades. She is interested in places where there is evidence of conflict in human desires, and she traces, translates or mirrors those conflicts through her art practice. Her work has been exhibited at MoMA/P.S.1 Contemporary Art Center, Performa, Artists Space, Harris Lieberman Gallery and Regina Rex in New York; the Perez Art Museum of Miami, Bass Museum of Art, de la Cruz Collection, Locust Projects, Casa Lin and Gallery Diet in Miami; as well as Mass MoCA, the American University Museum, L.A.C.E., High Desert Test Sites, Centro Cultural Matucana 100 and the Kadist Foundation Paris. Video still: Francisca Benitez, Décimas Telúricas, 2010. Discipline is a Melbourne-based publisher and contemporary art journal edited by Nicholas Croggon, David Homewood, and Helen Hughes.